Jerald's Secret HQ: Make up your mind, Luke Cage! Claire or Jessica? Make up your mind, Luke Cage! Claire or Jessica? It’s been a month since Marvel’s The Defenders began streaming on Netflix. Haven’t seen it yet? Let Mike Colter convince you. Below, Colter talks more about his character’s new challenges in Marvel’s The Defenders. People are saying Luke Cage is the only character who’s out as a person with superpowers, so how does that affect your relationship with everyone? 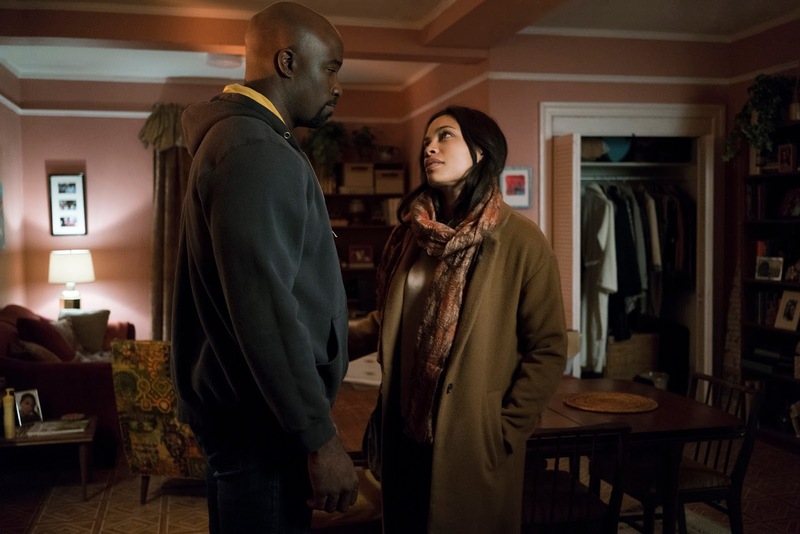 Mike Colter: I don’t think they understand the burden of the superhero that’s out, as it were. Everybody else has a front, Jessica has her detective agency, so she’s a regular person with a job and she’s hiding behind that. Daredevil is a lawyer with his own firm, and by night he goes out in this costume. Out of frustration he came out. In the moment, it seemed right but you can’t put that back in the box. Now, he’s dealing with it and he didn’t really think it through completely. It adds a layer to the character and now he has to figure it out. Hiding in plain sight a little bit? Yes. In a community like Harlem there is a sense of community. People know people by name and they know where to find them. Pop’s barbershop is a landmark, so it is him dealing with this and trying to juggle this thing. Being a person that’s really on 24/7, as opposed to being able to go away for a bit and hide, and unplug for a minute. What is this love triangle with Luke and Jessica? It’s not really a love triangle, because Luke has as at least one person on his dance card, at a time. Luke is a hopeless romantic, he did have a torch for his deceased wife. When someone is taken from you prematurely, you don’t really get over it. Luke has never really been very prepared to move on to another person. With Jessica, he met her and the chemistry was right. But of course, as luck would have it, she was responsible for killing his wife. So how do you bounce from that? Then Claire comes in, she seems like a very good fit - very compassionate, very warm, very grounded, and someone that Luke can deal with. I don’t know that there’s a love triangle, but I don’t think Luke knows where he belongs, or who he should be with. 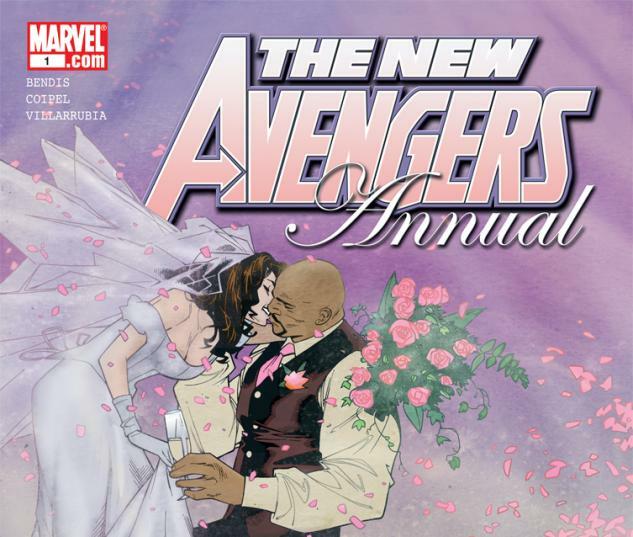 Wedding of Jessica Jones and Luke Cage. Right now, Claire seems like the right fit, but as we know, the comic books have it pre-destined for him and Jessica. On top of being the only hero that has publicly come out as super powered, at the end of season one of Luke Cage, you’re also going to jail. Now you’ve also got this convict on top of a superhero layer, how does that all balance out? He’s not looking back, he’s not feeling sorry for himself, he’s figured out how to go forward. He’s not ever really throwing himself a pity party, he’s trying to rebuild, reset, and go forward. We see a new Cage starting to peak out in Defenders, but then moving to second season a completely different Cage trying to find himself and understand what it is to be front and center, and having these responsibilities for a community. It’ll be interesting, I love the way it’s going so far for our season. It’s obvious that representation matters, and it’s really cool to have a scene with the response to someone like Luke Cage being in the space, and now being in this ensemble cast. Do you feel a responsibility as a minority? Mike Colter: When you look at any time you’re in a room and you’re the only minority - the person who’s successful is never thinking that. When you’re pre-occupied mentally with being the only minority, the only woman, the only anything, you’re at a disposition. You’re setting yourself up for failure, because that’s a lot of energy that’s put in the wrong direction. I have no problem with that. 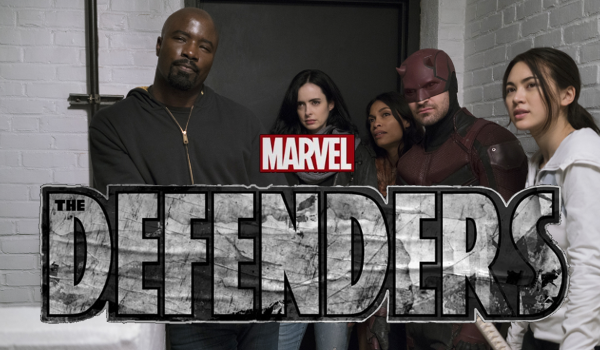 Marvel’s The Defenders is currently streaming exclusively on Netflix.